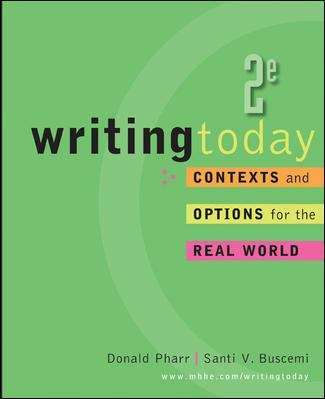 Writing Today begins with a chapter helping students learn the skills they will need to thrive throughout college and continues to promote reading and writing as practical tools both in college and in the work world. Full chapters on Group Projects and Oral Presentations teach students how to not only be successful in the classroom, but in the world of work as well. Students are sure to be engaged as they focus on the both the academic and professional contexts of writing.